An iconic albeit grizzly moment in music history. 2019 marks the 37th year since Ozzy Osbourne, front man to legendary rock group Black Sabbath, bit off a bat’s head live on stage. 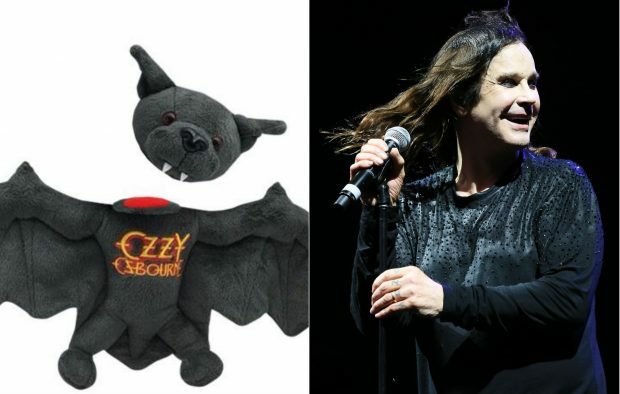 To celebrate the macabre anniversary, Ozzy has released a fittingly morbid piece of merchandise in the form of a plush bat with a detachable head. The toy comes complete with the rocker’s name emblazoned on its stomach, cute little fangs and a bloodied red circle when the head is removed. Retailing at $40 the limited edition toy has unsurprisingly already sold out online.